I had another article in mind for today, had it all ready to go late last week, and then several pieces of gut wrenching news surfaced. First, word came that Wally Boag, the fast-witted funnyman that appeared in approximately 40,000 performances of the Golden Horseshoe Revue in Disneyland and for a few years in Walt Disney World, had passed away on Friday. Less than a day after the dust had settled, the news broke that the longest tenured Cast Member of the Revue, Slue Foot Sue herself, Betty Taylor had also passed away. I’ve said it before when the likes of personal heroes, including Roy Disney and Ollie Johnston, had passed on, but the world seemed a little less bright this weekend. In the wake of a death, untimely or otherwise, I’ve always felt the way to cherish that person and their life is to celebrate the unique viewpoint and personalities that they brought to the world. I don’t reckon I am anywhere near qualified to speak on the life, times, and extraordinary history crafted by this pair of astonishing performers, but there are plenty of my colleagues who will undoubtedly be able to shed light on these avenues of their lives in the coming days. However, I do know what Wally and Betty meant to me and how I would like to see their legacy remembered. The obvious answer is to bring back the Diamond Horseshoe Revue in all of its glory. Certainly some changes would have to be made, as not all of the jokes and skits are fitting for the current temperament, but you would be shocked at how well the show stands up to modern scrutiny. The comedy, the vaudeville, the song; the Revue could be a major draw to the parks. Speaking for Walt Disney World, there is no shortage of talent in and around the Orlando area. In fact, consider the performers of the Adventurers Club, wouldn’t a show of this caliber be right up their alley? The venues for these shows, both in Disneyland and the Magic Kingdom, are still standing ready to be put to good use. In the Magic Kingdom, the temporary quick service, overflow all-you-can-eat from Liberty Tree Tavern, and disjointed dance parties seem to fly in the face of everything the Diamond Horseshoe Revue stood for. Guest have been clamoring for unique dining experiences in the Magic Kingdom for several years now, look no further than the Wishes dessert parties held on the Tomorrowland Terrace. Placing a Revue in the middle of a meal would mean cutting the number of performances down to two or three per day, but I have the sneaking suspicion that those shows would be filled to capacity. There isn’t a way to bring back that special spark that Betty Taylor and Wally Boag possessed, once such shimmering stars of song and stage have gone out, we can only look back and marvel. Yet, that doesn’t mean that all of their hard work should simply fade away. 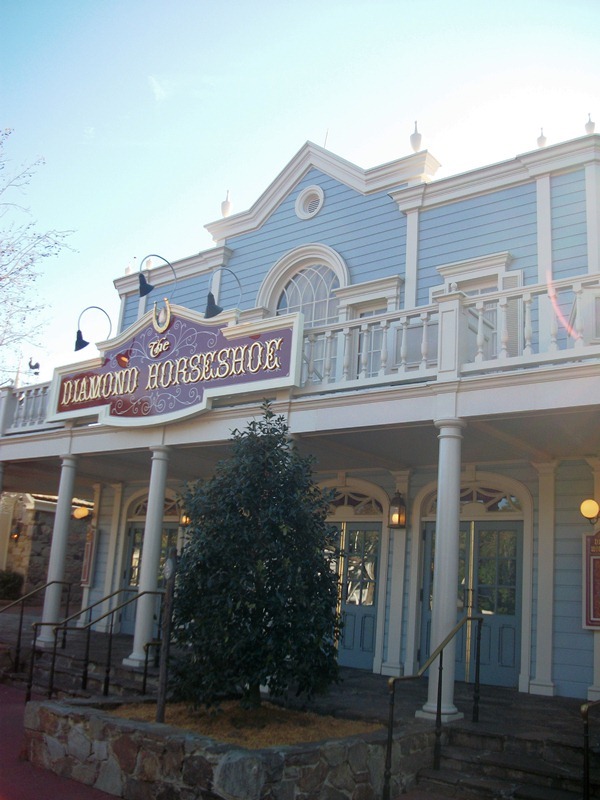 By reviving the Diamond Horseshoe Revue, guests could once again be actively engaged and Disney could honor the legacy of two of its finest.